Intel® IoT Market Ready Solutions are scalable, repeatable, end-to-end solutions that are currently available in the market. AgilQuest’s Room Kiosk Meeting Room Digital Display is an Intel® IoT Market Ready Solution, that utilizes AgilQuest’s workplace management platforms and runs on Intel and Microsoft Windows IoT. 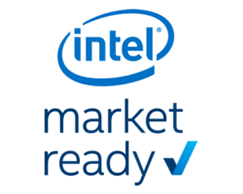 For more information on the Room Kiosk Intel® IoT Market Ready Solution, click here.